With exciting projects now mushrooming across Europe, the high-profile rewilding movement is playing an increasingly influential and impactful role in European conservation. 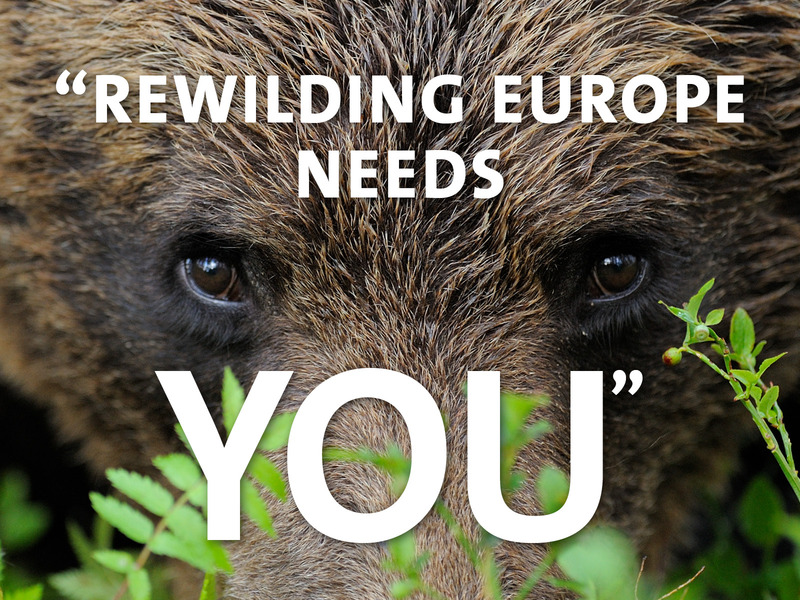 Founded in 2011, Rewilding Europe is spearheading this movement, with operational areas stretching all the way from Lapland and Portugal to Romania and Bulgaria. A registered Dutch charity, Rewilding Europe has a home office in the city of Nijmegen, while our central team comprises members based in seven different European countries. As part of this group, our seven-member management team contains the key personnel responsible for the overall initiative. and a Rewilding Area Coordinator, who acts as the interface and coordinator of large-scale rewilding initiatives, with a focus on central and northwest Europe. In addition to relevant background and experience, these roles all require strong leadership, communications and management skills. They will involve both strategic and operational work (with a continuous shift between the two), and a very energetic, hands-on and entrepreneurial attitude to ensure our innovative and pioneering initiative continues to forge ahead. If you’re a conservation-focused mover and shaker and think you have what it takes, please send your CV and motivational letter to info@rewildingeurope.com before Wednesday 5 December 17.00 hrs CET. Please also send any queries regarding these positions to this address. A Head of Rewilding job description can be downloaded in PDF form here. A Head of Communications job description can be downloaded in PDF form here. A Rewilding Area Coordinator job description can be downloaded in PDF form here.